Perfect for adventurous artists, this water pot expands on site then collapses for transport. It's also easy to clean and store. 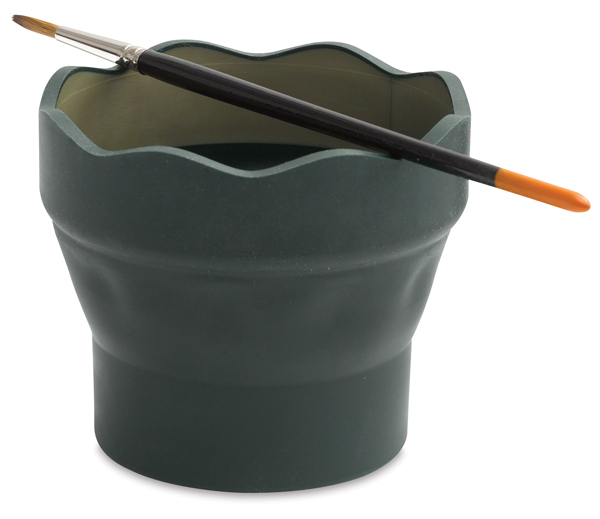 Ridges around the rim keep brush handles separated and organized while you're painting.